Stay up to date with events, news, and opportunities by signing up for the Ministry of Caring's quarterly newsletter. Click each category below to see long-term housing options. Mary Mother of Hope House Permanent Housing offers housing to women who have lived through homelessness, substance abuse, mental illness, domestic violence or other life challenges. In this residence, they work toward achieving employment retention and independent living. All who enter Hope House Permanent Housing have successfully completed a stay at Hope House I Emergency Shelter for homeless women. Ongoing case management helps each resident to continue dealing with the root causes of homelessness so that she may become self-sufficient. Group living provides an environment for necessary support from other women who have undergone similar life experiences. Residents come to Hope House Holistic Residence for a stay of up to two years. Bethany House I & II provides long-term supportive housing for formerly homeless women who have a wide spectrum of special needs. Residents, some of whom are employed, may suffer from mental or physical handicaps. Those unable to work are encouraged to perform volunteer jobs and to participate in job training or consumer programs. As part of the comprehensive case management process, staff work with each woman to develop a personal service plan that helps guide her in confronting and overcoming obstacles that limit her ability to remain self-sufficient. Residents use supportive services at Mary Mother of Hope House I, an emergency shelter operated by the Ministry of Caring for homeless women. They also have access to substance abuse programs, education, health care, and other community services that help them lead happy, productive lives. Formerly homeless women with special needs find lodging, help and encouragement at Bethany House I. House of Joseph II is home to sixteen men and women living with HIV and AIDS. Round-the- clock care is provided by certified nursing assistants supervised by a registered nurse, and the services of a case manager are also provided. A physician from St. Francis Hospital serves as medical director in coordinating admissions. Residents receive meals, snacks, housekeeping services and personal care. For the many adults diagnosed with AIDS each year in Delaware, dealing with the disease is often complicated by the loss of family or community support. Often family, friends, and caregivers can no longer provide the support needed as the illness progresses. At House of Joseph II, residents live among people who love and care for them. 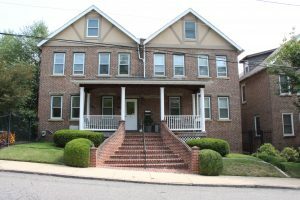 House of Joseph II offers the only round-the- clock residential program in Delaware for homeless men and women in the late stages of HIV and AIDS. In this caring, nurturing environment, residents live in a family atmosphere and, if they pass away, they do so with dignity, surrounded by love. House of Joseph II offers formerly homeless men and women in the advanced stages of AIDS an opportunity to lead lives as full and independent as possible. 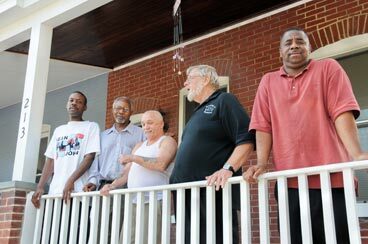 Padre Pio House is a long-term residence for men who need supportive services for disabilities that involve mental health disorders and/or substance abuse. Residents use supportive services at House of Joseph I, an emergency shelter operated by the Ministry of Caring for homeless men. They have access also to substance abuse programs, education, health care and other community services that help them move toward their highest level of self-sufficiency. In accord with a comprehensive case management process, staff work with each resident to develop a personal service plan that helps guide him in confronting and overcoming obstacles that limit his ability to work and become independent. Residents strive, furthermore, to acquire life management skills and a job that will help them build the skills and stability necessary to develop and manage a budget and grow in independence. Men who live at Padre Pio House receive support services for disabilities that involve mental health disorders and/or substance abuse. Sacred Heart Village I is a nonprofit organization that provides permanent and affordable housing for seniors age 62 and older. The complex includes 77 one-bedroom apartments, activity rooms, a café, convenience store, hair salon, laundry and computer room. Residents enjoy a beautiful lobby and the safety of a state-of-the-art fire and security system. For more information, visit www.sacredheartvillage.org. Sacred Heart Village II, a $7.1 million HUD Section 202 project, is a 26-unit senior housing project for very low-income senior citizens, 62 years and older, located on the East Side of Wilmington. Specialized units are reserved for people with disabilities. This senior project has a holistic mission which allows the residents to age in place by assisting them with transportation and activities to improve their quality of life. Sacred Heart Village II offers a convenience store/café, recreational activities, a food program, off-street parking, security, access to off-site grocery shopping, social outings, a hair salon, medical/dental services, and a fitness center. For more information, visit www.sacredheartvillage2.org. The Village of St. John will provide 53 apartment units that can accommodate 1-2 seniors each. Thirty-six of these will be created in a 3-story addition to the cathedral complex, and the remaining 17 units will reside in the historic buildings. The important communal spaces of the historic buildings – the nave, sanctuary and the beautiful St. Mary’s chapel – will be retained as communal space. Great care will be taken to preserve and bring to life all of the unique and historic architectural details of St. John’s, inside and out. Click each category below to see holistic housing options. House of Joseph Transitional Residence provides homeless persons with transitional housing for up to two years following a stay in House of Joseph I or Hope House I Emergency Shelter. Supported with ongoing case management, residents continue working on the root causes of homelessness to regain self-sufficiency. To achieve program objectives of employment retention and independent living, they have access to services in job search/training and have an opportunity to acquire life management skills. Maria Lorenza Longo House is a long-term residence for single women who need ongoing support to prevent them from returning to homelessness. Most residents come to Maria Lorenza Longo House to work toward greater self-sufficiency after a successful stay at a holistic program and at Mary Mother of Hope House I, an emergency shelter for single women. St. Francis Holistic Housing provides a comprehensive network of supportive services for women with children. Services include child care, a crucial link in the successful transition from poverty to self-sufficiency. From its two locations, St. Francis Holistic Housing provides families with a private unit for up to two years. During this time, they work with a case manager to address the root causes of homelessness, learn life management skills and find the resources to move on to independent living. Case managers can connect them with services such as job search/training, affordable child care, medical and dental care and counseling. 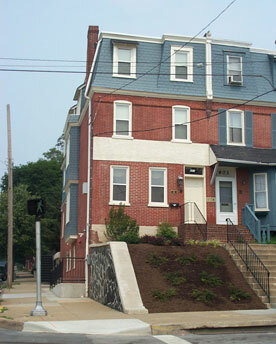 Nazareth House Holistic Housing I & II is an innovative component in the continuum of care for the homeless. Families who have been separated in the emergency shelter system find here an opportunity to reunite, develop and stabilize as families. Nazareth House fills a need beyond that of emergency shelters by giving families the time and support they need to address complex challenges that include finding employment, building life management skills and pursuing long-range goals. With the assistance of a case manager, families can prepare for a future of independent living.